Did IAF Chief just reduce Tejas Mk-II orders by Half? 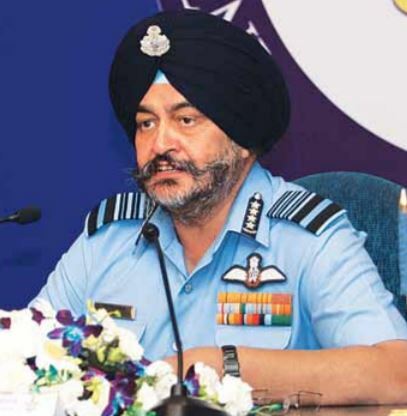 Chief of Air Staff Air Chief Marshal B.S.Dhanoa, while addressing the annual press conference ahead of the October 8 Air Force Day spoke in great length of Indian air force’s future induction and the up gradation of the existing aircrafts, while Speaking on the Light Combat Aircraft (LCA) Tejas, Dhanoa informed that IAF has a plan for induction of 231 LCA which will include four squadrons (83) LCA Mk-1A and six squadrons (108) of Mk-II. LCA is being manufactured by HAL. IAF is expecting delivery of the Mk-1A to begin around 2021/22. The development of the LCA Mk-II is under progress. Former DRDO Chief S. Christopher In a submission made to the Parliamentary Standing Committee on Defence for additional funds to develop the Light Combat Aircraft (LCA) Mk2 had requested additional 800 crore for work on the LCA Mk2, also, said that the Indian Air Force (IAF) had committed itself to 201 LCA Mk2, in addition to the 123 LCA Mk1/1A or order or being contemplated at the moment. The naval LCA was also intended to be based on the LCA Mk2. Both of this statements were made earlier this year in the month of February and March and it was clear that IAF is interested in procurement of 201 LCA Mk2 which now has been classified as a Multi-role Medium class combat aircraft. IAF Chief now putting up a figure of just 108 Mk-II is just over 50% of the order which, IAF committed to in writing to the DRDO. Mk1A includes four specific capability improvements prescribed by the IAF. The Indian Air Force (IAF) which lacks the required number of fighter jets in its squadrons, had shown intent to procure and induct 324 indigenously built Tejas fighter jets but as per the latest statement by IAF Chief, it could be just 231 jets of local origin.